Managing an organization’s environment, health and safety (EHS) compliance needs is difficult. Complying with the volume of regulatory requirements is one challenge. Identifying and minimizing risk is another challenge. Collectively, OSHA, EPA, and other regulatory agencies collectively have a substantial number of regulations that require specific and periodic inspections of field operations. SBN’s mobile EHS software has been designed to help. Our EHS management software tools allow staff to document inspection activities from the field along with any other auditing activities performed to demonstrate EHS compliance. Our solution goes well beyond simply documenting inspections electronically. 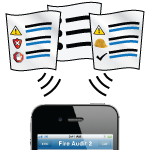 With our mobile EHS software, users can create custom inspection checklists based on regulatory requirements, set inspection frequencies, schedule inspection activities and monitor the progress of inspections. 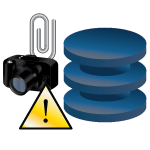 The inspectors themselves can pull up any inspection checklist from the field (regardless of WiFi), document the inspection activity, incorporate and edit photos and create exception reports to document compliance deficiencies. SBN’s EHS management software creates a more efficient workforce because field work is documented instantly. It creates more effective EHS programs because deficiencies and non-compliances are documented and communicated instantly for quicker resolution. It also captures more data electronically which is available for analysis and trending and for any audit needs, which all helps demonstrate EHS compliance.